This blog will teach you how to build an AK 47, by yourself, in your garage, with a minimal amount of tools, ak parts and knowledge - LEGALLY. 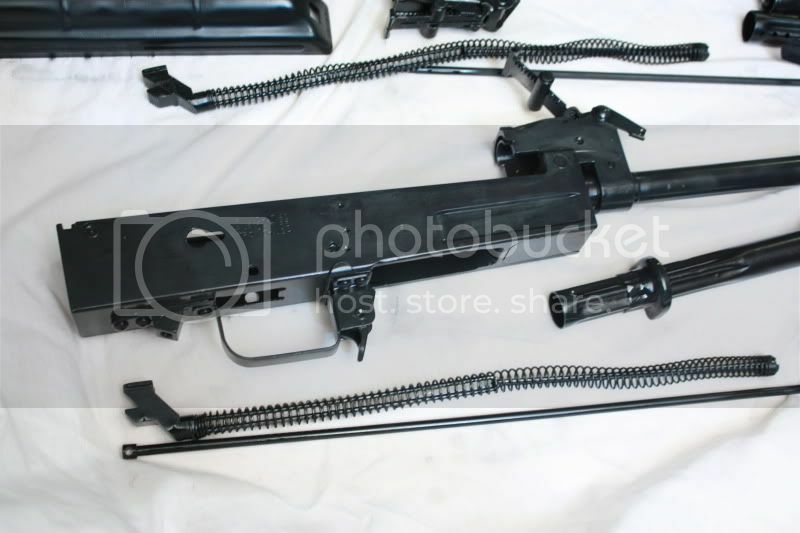 Not a full auto, pull the trigger and dump an entire mag type. (That's not legal.) But a semi-automatic version. That fires once every time you pull the trigger. 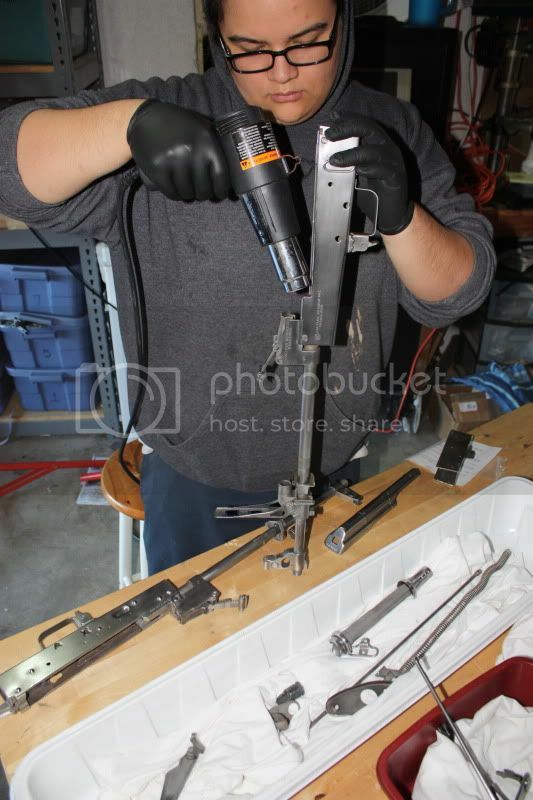 It's completely legal to build your own "legal" firearms at home. As long as you do it YOURSELF. Meaning no one else can help you physically. And you follow the rules of making ONLY legal, semi-automatic firearms. 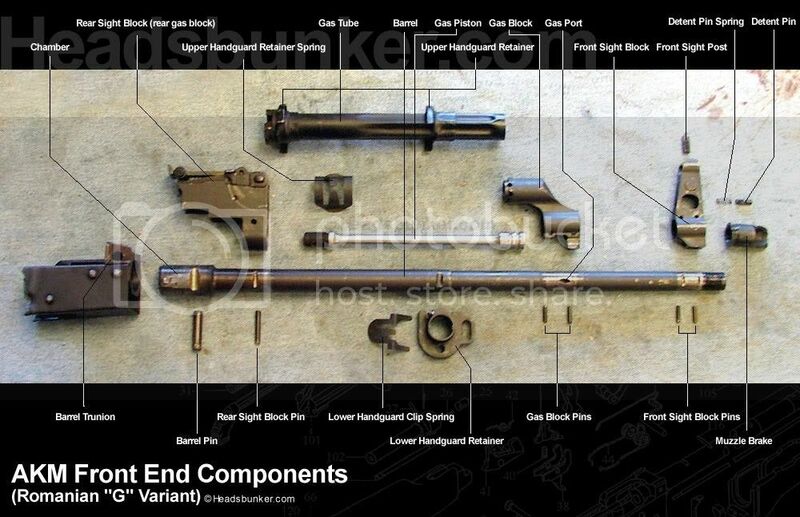 Using your own ak parts. 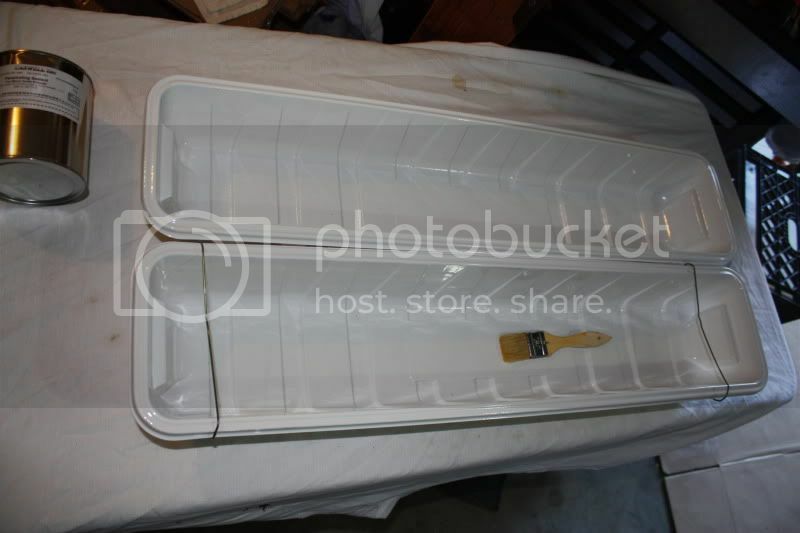 (The various sections of this tutorial include simple methods that might be used if you had a minimum of tools. Other methods are more sophisticated, might have been developed after some of the older simpler methods, but may require more advanced tools. At the minimum you need a drill and some BIG hammers. But preferably a 12 ton press from Harbor Freight. I built the rifle in the picture above. (And several others pictured in this blog.) With a minimal amount of tools. Over the course of a few days. It was probably one of the most satisfying accomplishments of my life. 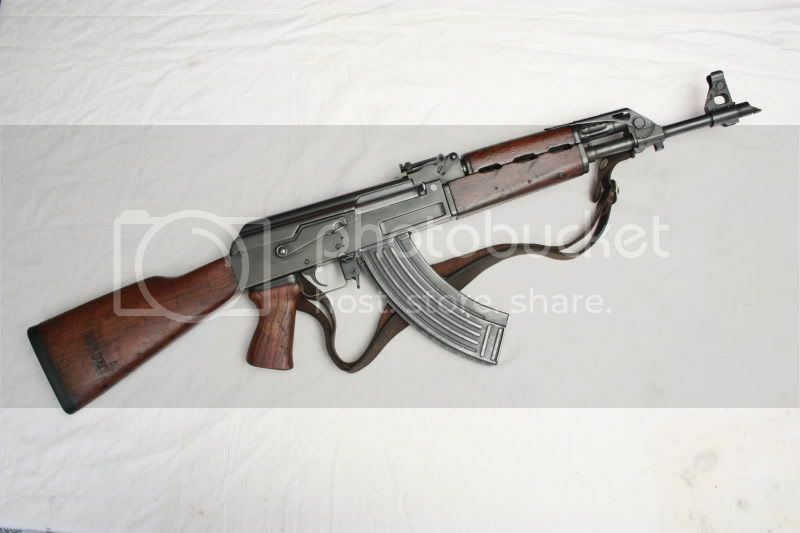 How many guys can say "I built an AK47 with my bare hands."?! Not many. But probably more if they only knew how easy it was. 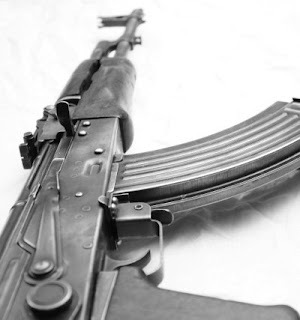 The following posts detail links and information regarding building your own AK 47. 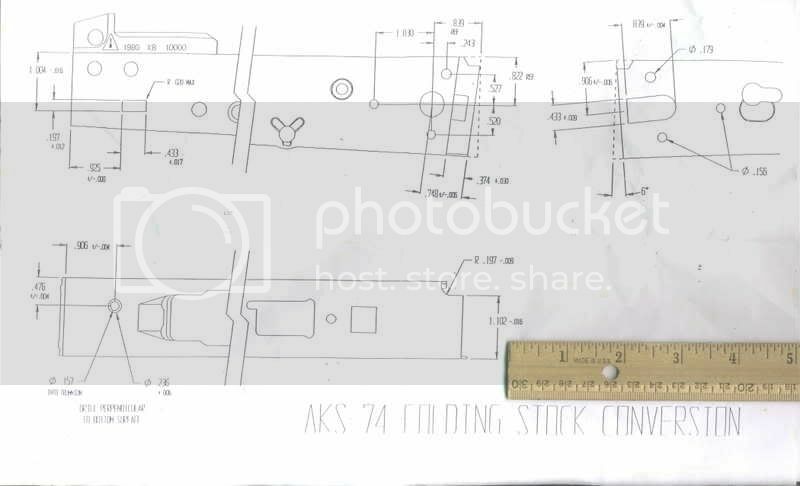 I hope you'll have as much fun and satisfaction as I have building my own AK 47's from parts. But please follow your own state and local laws concerning firearms. And be safe. The main difference in your build will be stamped versus milled. 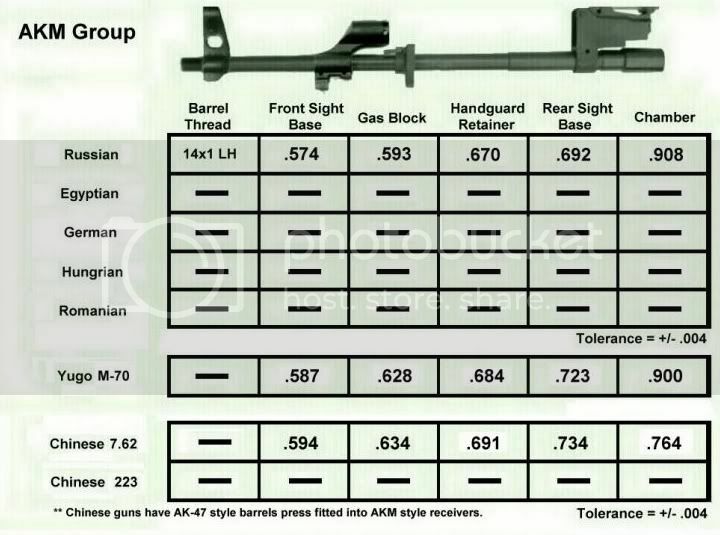 And standard AK vs Yugo. 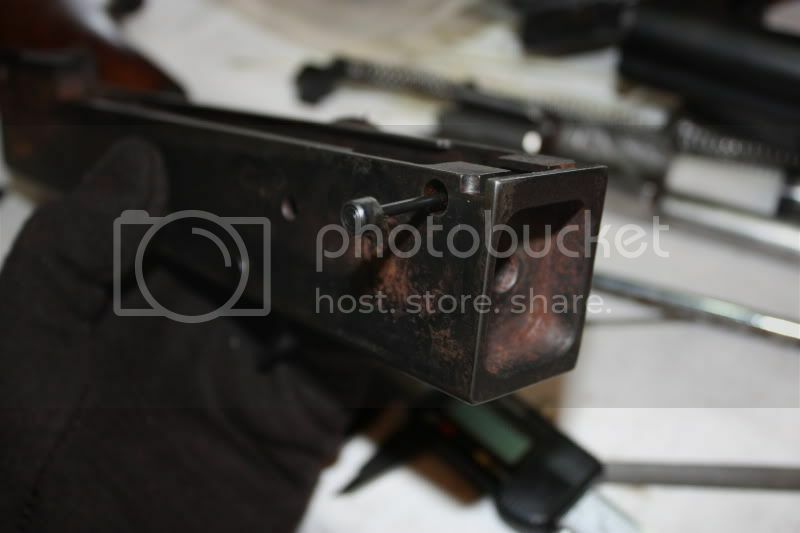 And whether you use rivets or screws to attach the receiver together with the rifle. I have only detailed two problems with the UF receivers. But have only dealt with the Fixed Stock receiver to date. So once I move on to building the UF more problems may arise. At this point you should check your UF's independently of these issues. And for these common issues as well. You should check your receiver for all of these issues before bluing or assembly. As they may affect your ability to do either of those. 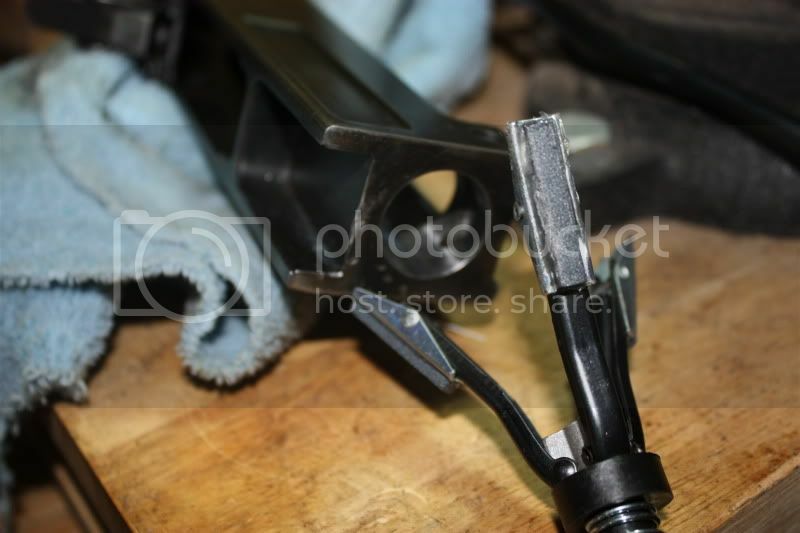 Most all of these problems can be "remedied" with simple shop tools i.e. 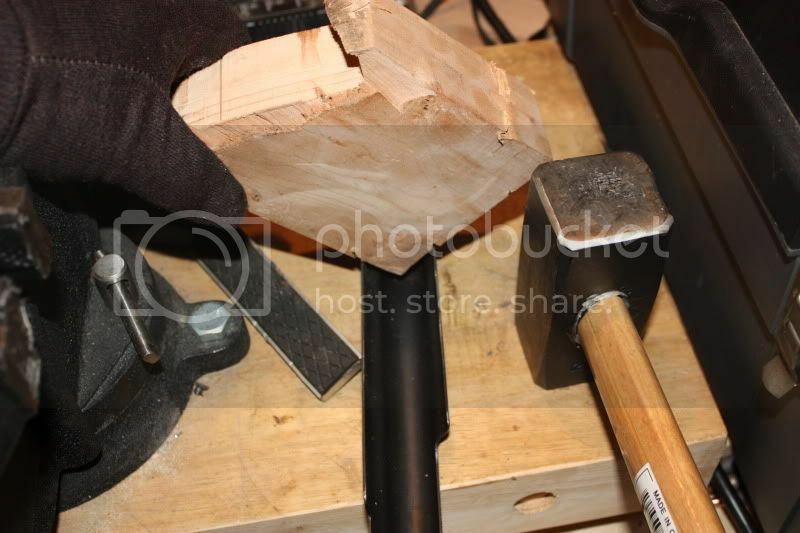 - hammers, hand files, dremel and/or an air die grinder etc. With the exception of a cylinder hone. But they are $15 or less at your local auto parts store. 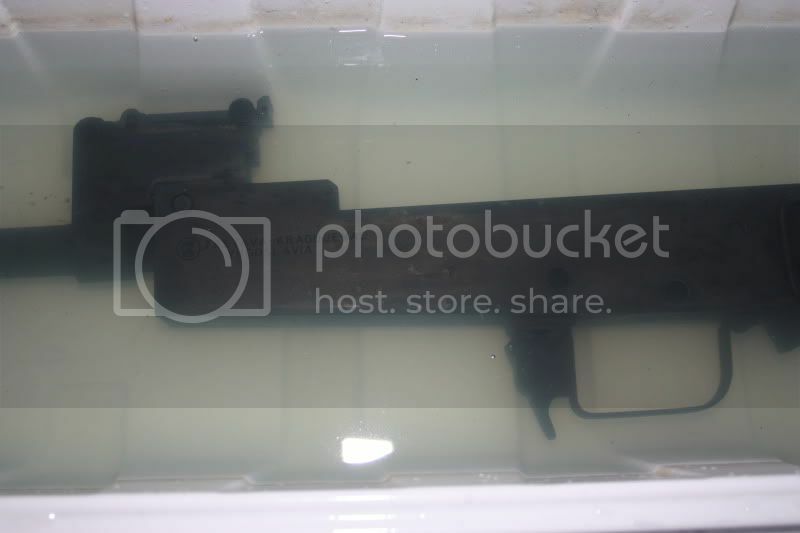 If you end up needing to remove or push your barrel out once installed I HIGHLY recommend buying the milled barrel removal tool made by Viktor Bout on theakforum. Lamont had some luck with a floppy head socket wrench. But if you plan to build more than one of these. I can't recommend that tool enough. 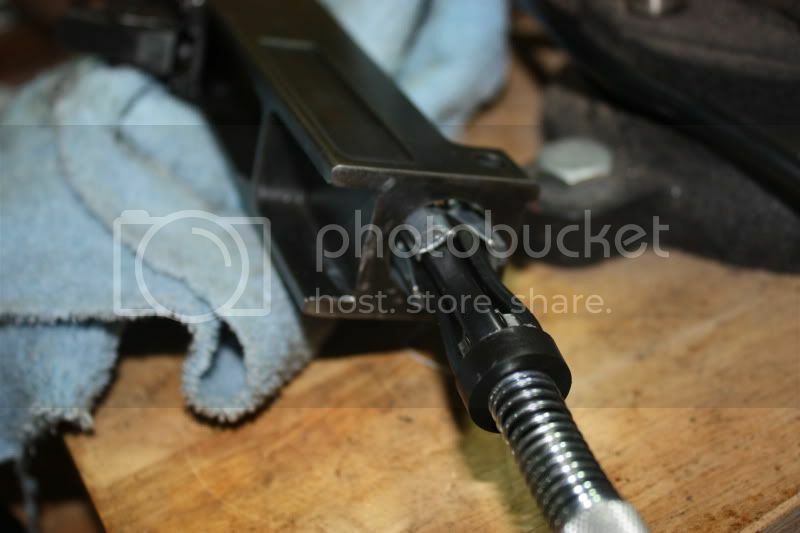 Or greenmachine offers an even more sophisticated tool that will remove and install the yugo barrel. And probably aid in fine headspace adjustments. 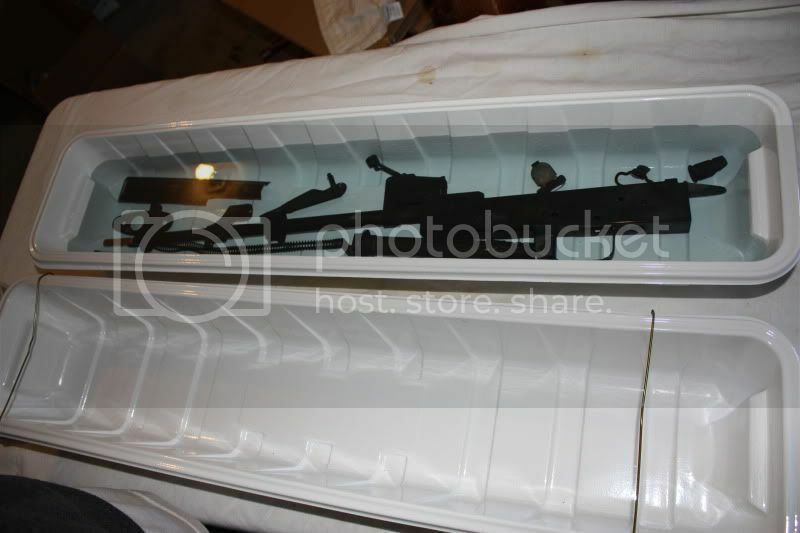 Available at akfiles.com. With the solutions discovered thus far I wish I had purchased more of these at the $175 sale price. They are a quality receiver for that price. And a steal. Although personally I would have been disappointed had I paid the full original price of $349. For that price you expect a correct receiver. If the axis pin holes (for example) can be drilled correctly on one model receiver. They should be drilled correctly on all models. Which isn't to say that all ORF receivers have all of these issues. Some apparently don't have all of these problems. But maybe once we all see these issues and solutions in photos and print - we can all put down our hatchets. And agree that many people have experienced problems with their ORF receivers. But that there are also work arounds for these issues. These receivers aren't perfect. You have a right to be upset if you paid the full $349 price for a complete receiver - and gotten one with these problems. But the problems can be fixed. And at $175 it's worth it to fix them. At $349 I would have wanted my money back too. So luckily solutions have been found (mostly by others I might add). Much thanks to guys like AKblue, bigmedina and especially Lamont. And to others who generously shared their experience building these receivers. 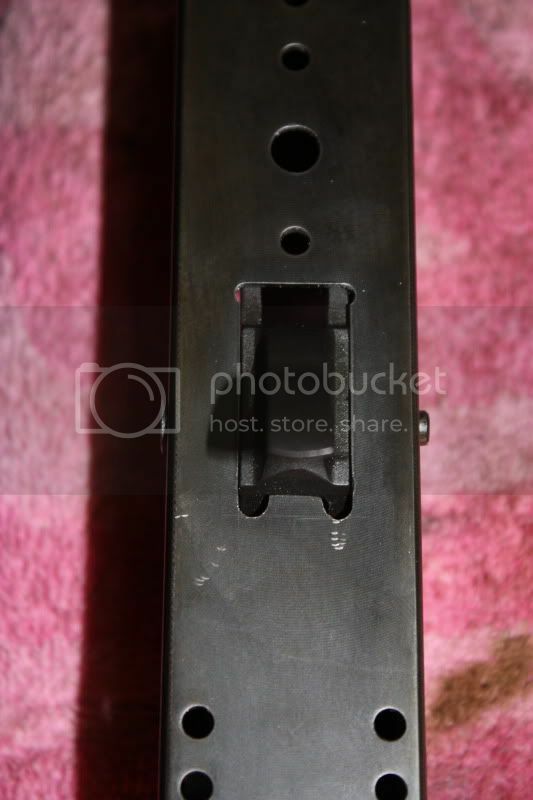 1) The ORF M70 fixed stock milled receiver has axis pins that are placed incorrectly. Approximately 1/8 to far to the front of the receiver. 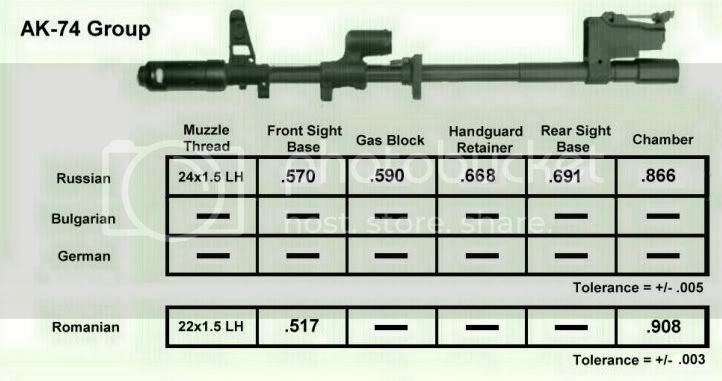 (This is as compared to the ORF M70 UF and ORF M64 UF milled receivers. Which do not have the same trigger/hammer placement issues. 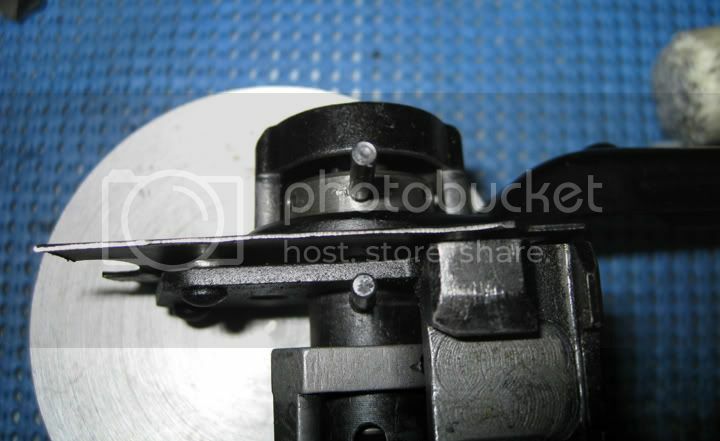 As their axis pin holes are drilled in the correct location.) 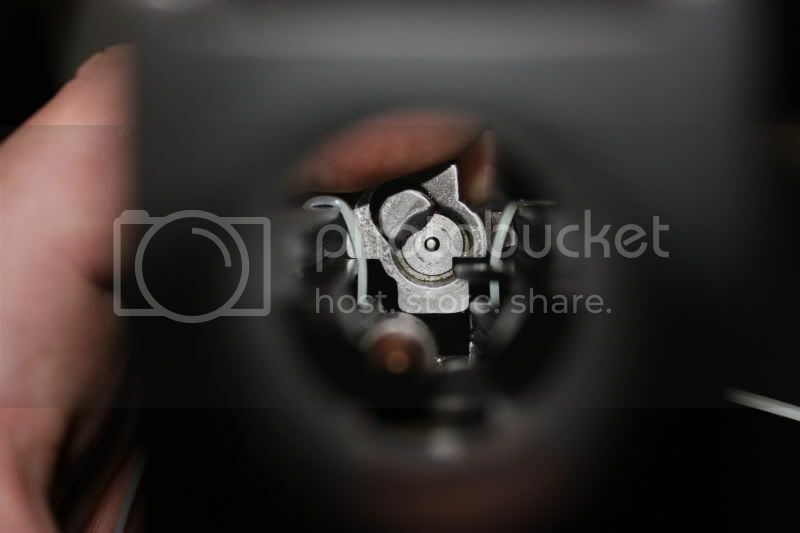 The axis pins, in this incorrect location, result in the trigger not rotating fully or at all. 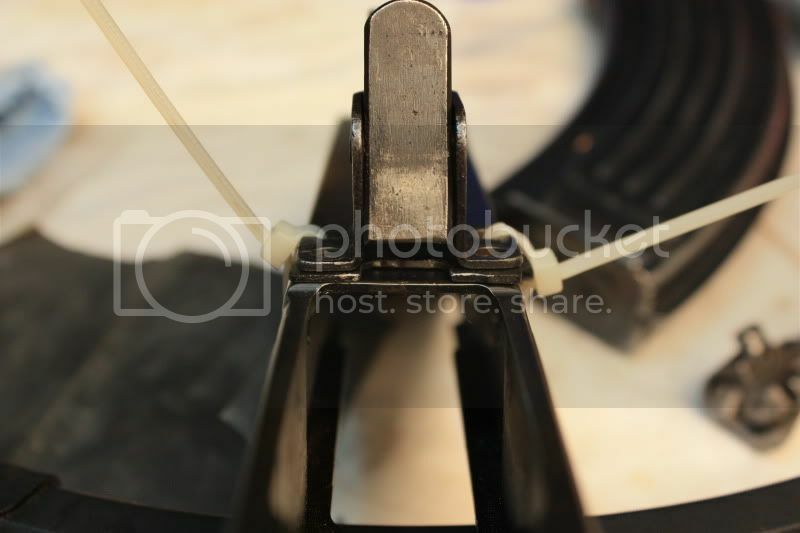 Places the trigger further forward inside the trigger guard. And moves the safety and hammer strike out of normal placement. But (hopefully) within operational limits. 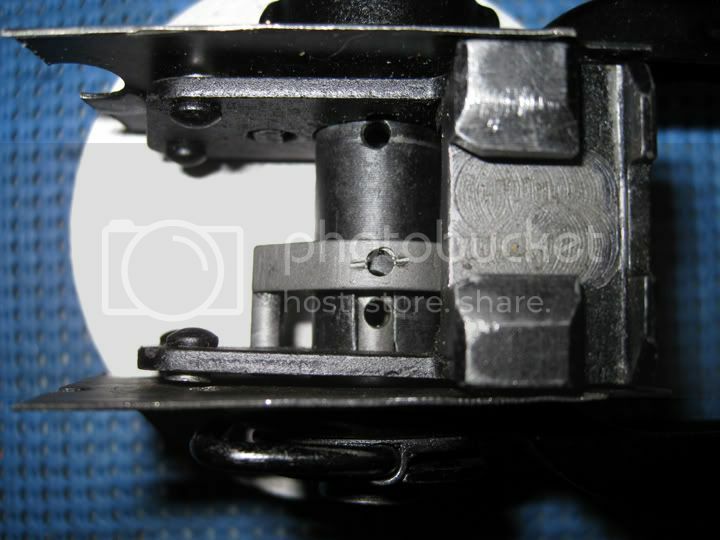 The safety still strikes the rear of the trigger assembly. Making it operational. 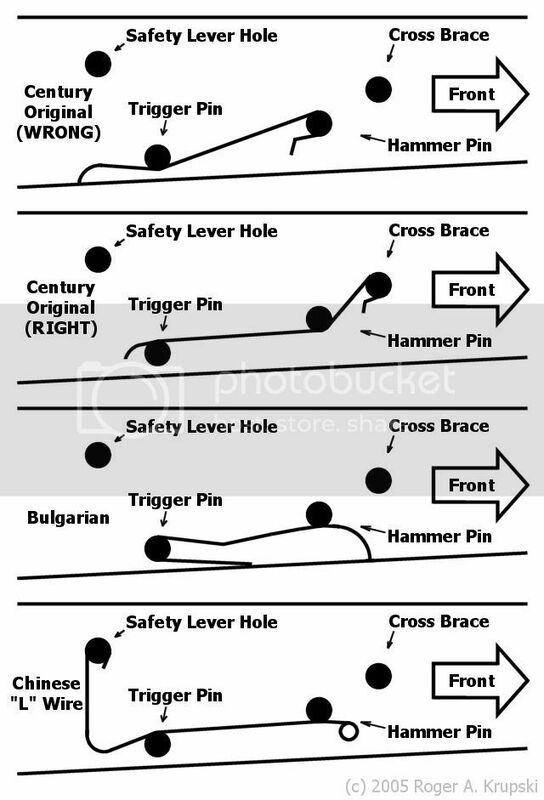 The different angle of hammer strike does not seem far enough to cause concern. You'll have to live with the trigger placement inside of the trigger guard. It will remain approximately 1/8 further forward than it should be. Here's a pic of how far off it is. The below receiver is the incorrect receiver. The upper receiver is a correct receiver. The difference in hole placement can be seen in the lighted area in the center of the pic. 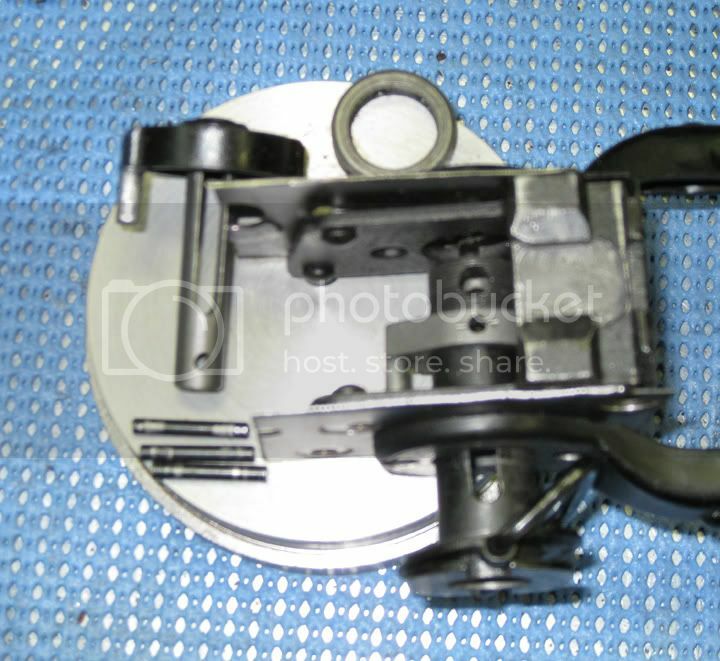 Again, with the holes this far off the trigger will not even rotate on one of my ORF receivers. The only alternative to the detailed solution here. 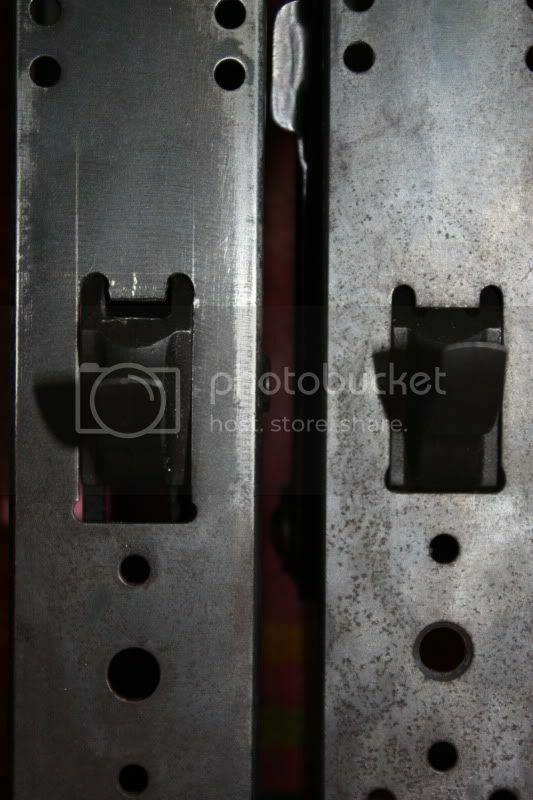 Is to weld in the holes and redrill them. That is probably a MUCH better fix than the one detailed here. But I don't weld. And I believe the resultant offset of the trigger and hammer will still operate properly. Here is a pic with the trigger in. 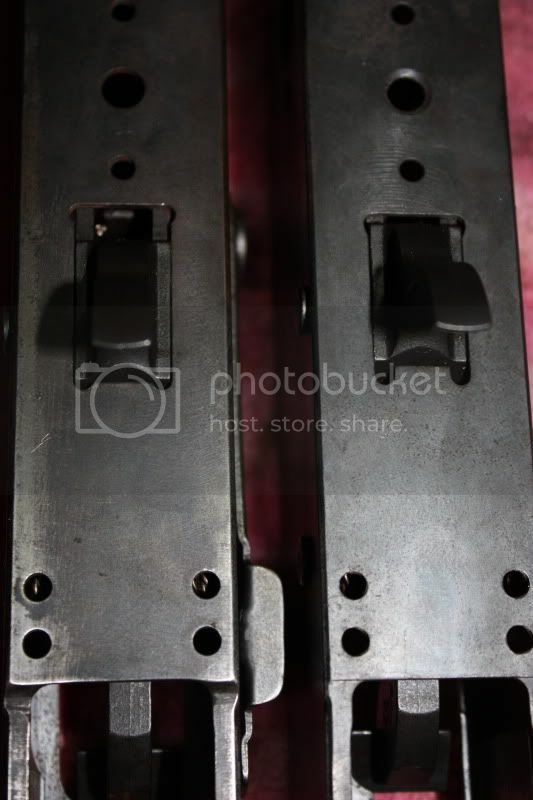 On both the "corrected" receiver on the left (ORF M70 fixed stock). And a receiver that was "correct" to begin with on the right (ORF M70 UF). 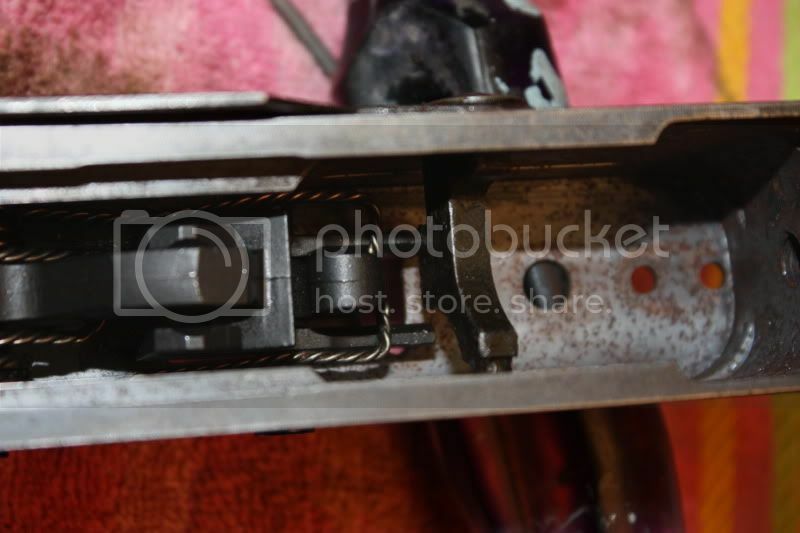 You can see how much material has been taken out in front of the trigger on the corrected one on the left. 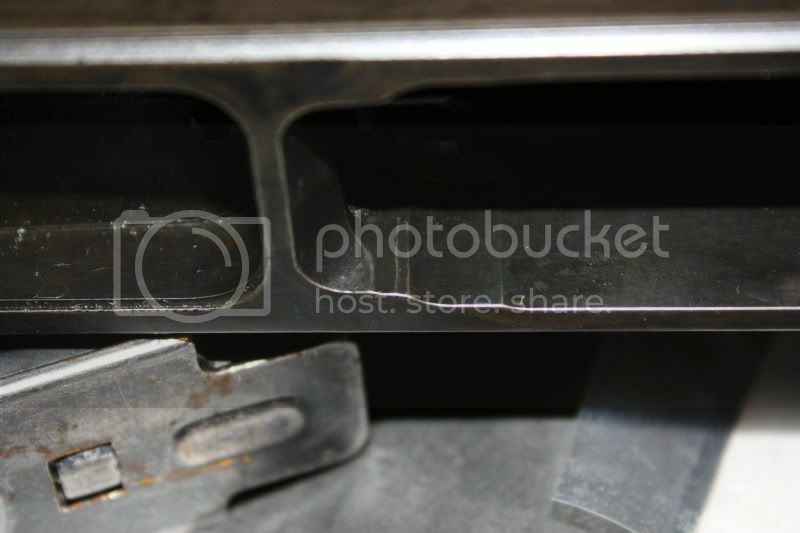 And how much of a gap there is to the rear of the trigger. 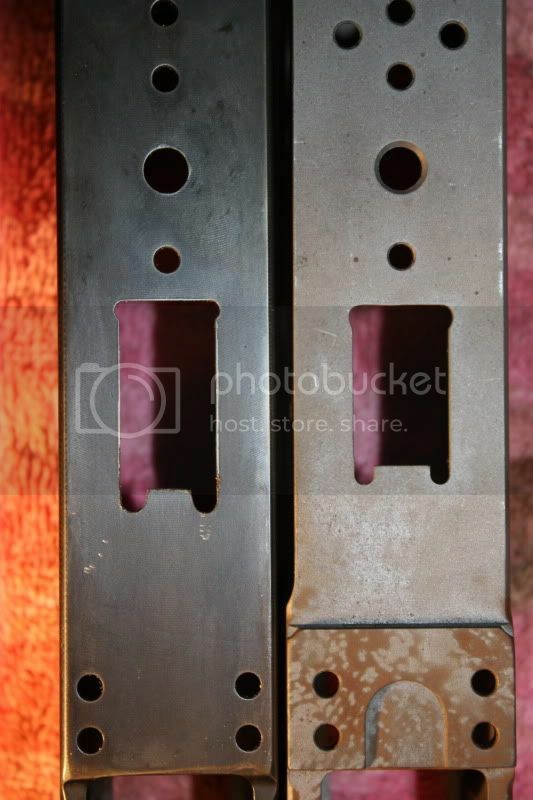 Both as a result of the misaligned axis pin holes. 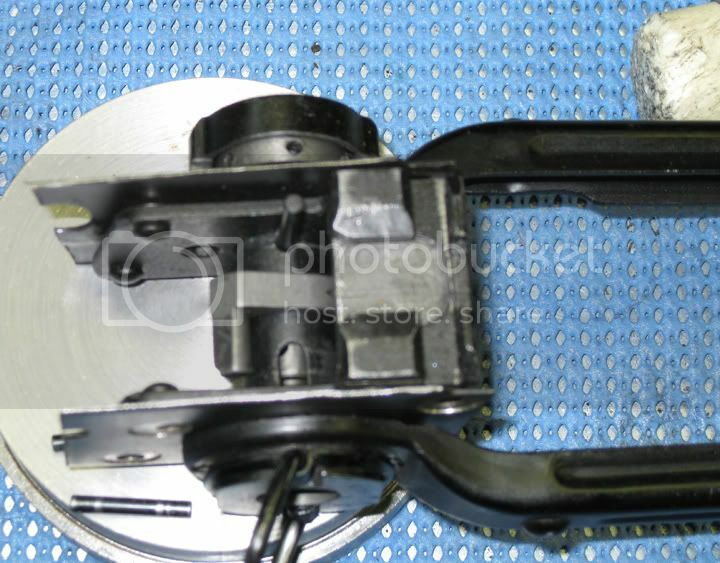 Second pic is just of the "corrected" receiver by itself. After some back and forth (and mistakes on my part) I was able to ascertain that my receiver would work without modifying the selector stop. Although it could have been improved (see above pic). It was good enough. So I left it alone. I may regret this later. As the only fix will be to demil the trigger guard and do it over. 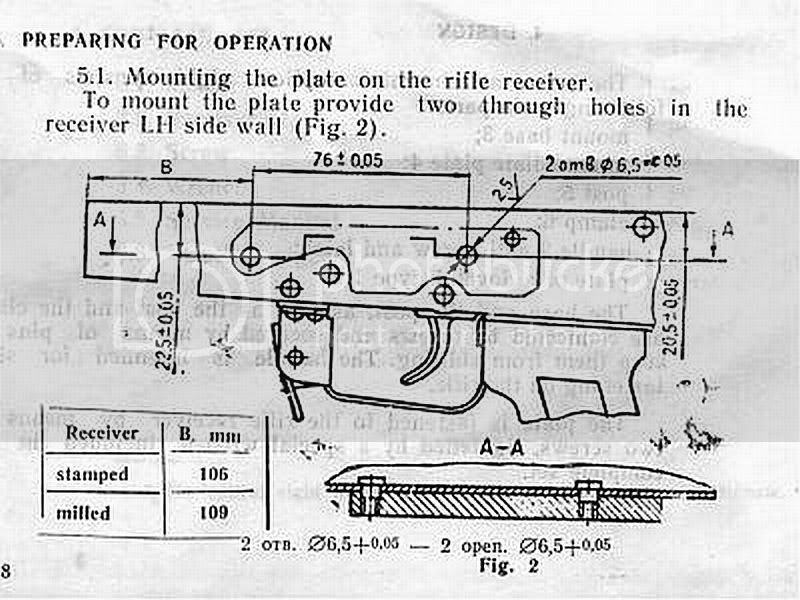 3) Another issue is the ORF manufactured bullet guide itself. 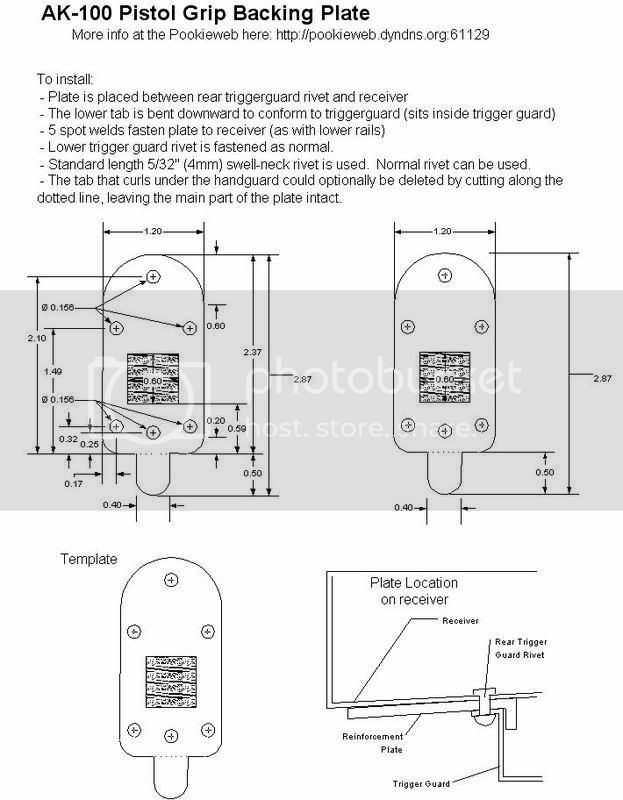 Apparently some were reported to not be correct on the left upper edge "ramp" that connects with the bolt and makes it rotate. My solution is to use an original bullet guide. I believe those to be correct. Until reported otherwise. 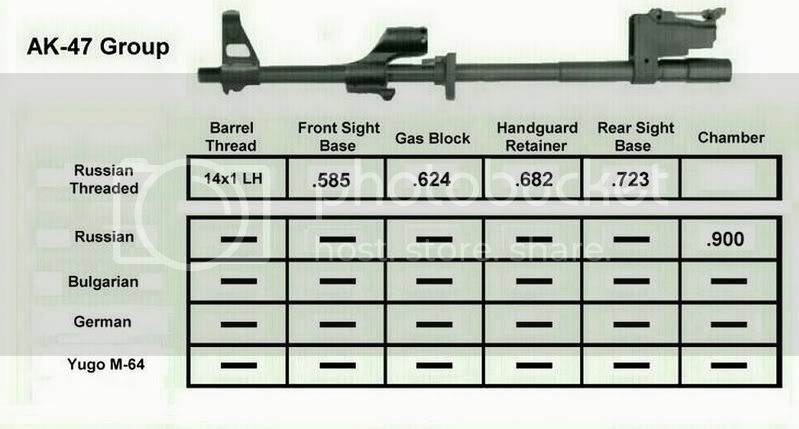 I believe the same problem exists on the ORF M76 bullet guides. The rotation ramp (for lack of a correct term) needs to be moved forward IIRC. 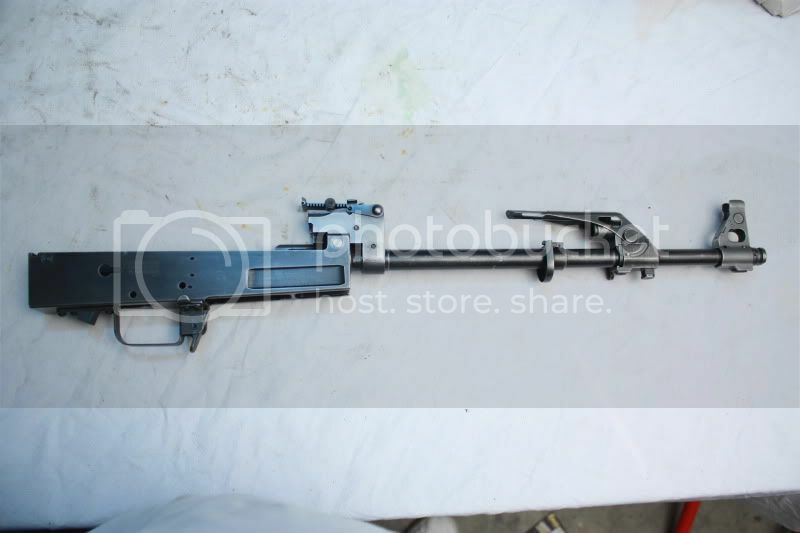 "I've got one of the ORF underfolder Yugo receivers. So far the only problem I've come into is that the barrel pin hole is about 2mm lower than it should be. is that common? Also if I redrill the barrel (after headspacing) I'll end up with about 1mm of meat left between the barrel & barrel pin. Is that going to be strong enough right there? Are there any better options?" I'd like to know if anyone else ran into this issue. This may be a major deal breaker. If your going to have to weld this in. 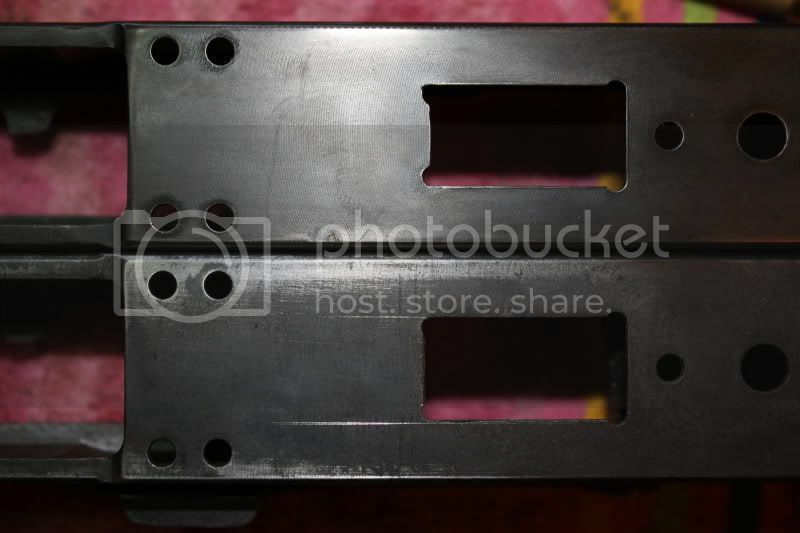 You might as well have the axis holes welded and redrilled too. An added expense if you don't weld. 9) I figured out the hard way that the barrel hole in this receiver is several thousandths to small. 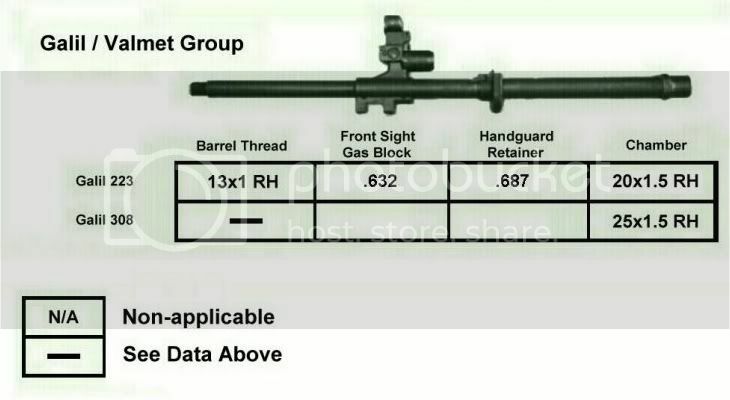 Apparently this was to accommodate different barrel sizes. I pressed the barrel in - side facing me. And didn't see it bending. It only made it about halfway in. Before I realized it I had bent the barrel. Some say I can fix this. I might try later. But I pulled everything off of the barrel I had bent trying to install it. And went with a new one. Prior to trying the new one. 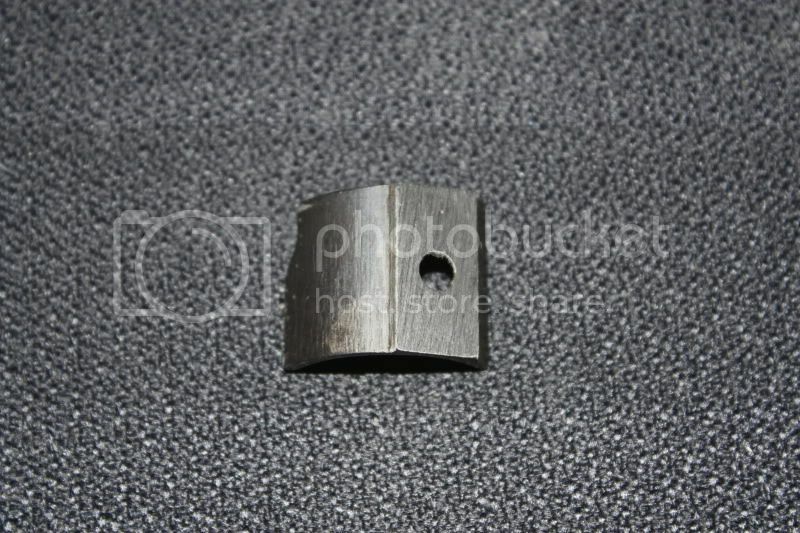 I had to open the barrel hole by about 2-3 thousandths. To achieve a 2 thousandths difference. 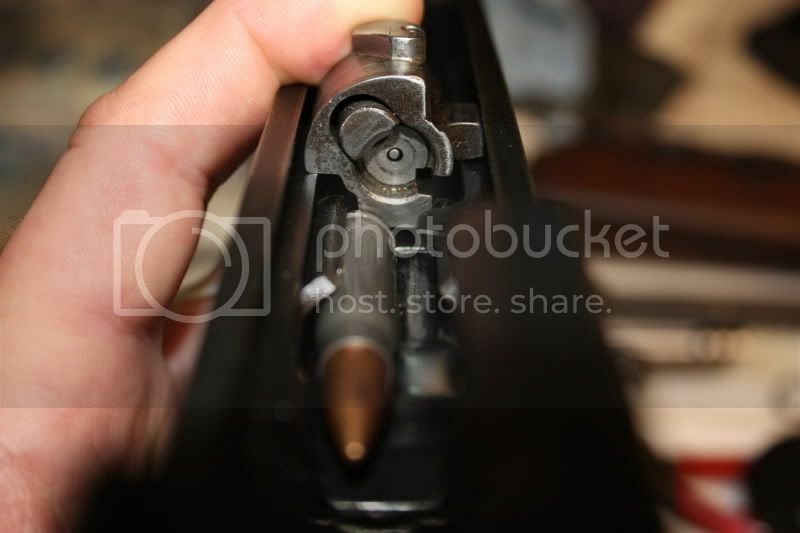 Barrel being 2 thousandths bigger than the barrel hole in the receiver. Lamont (man he's been a great help) told me to get a cylinder hone. You can see it below. 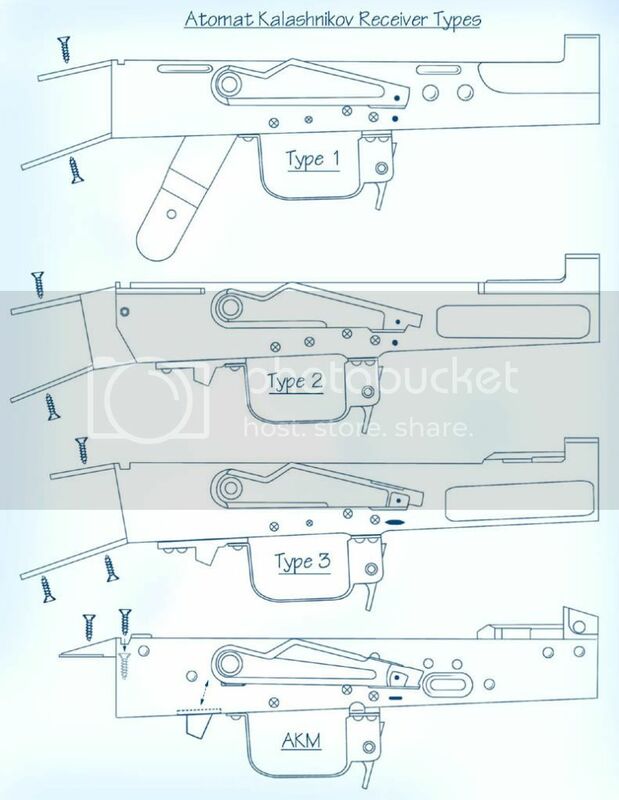 It's basically three stones on spring arms that are used to bore out any cylindrical type space in metal. Use plenty of lube. 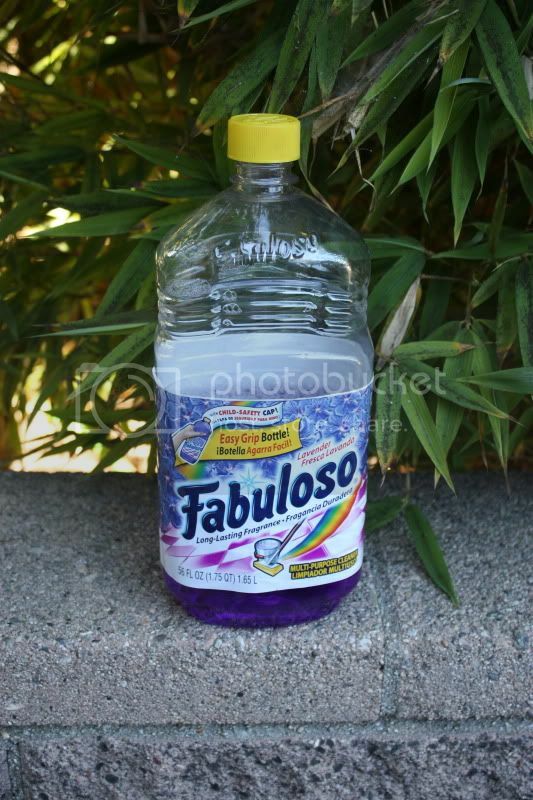 I use the cheap dark cutting oil you find at Home Depot or Lowes in the plumbing pipe section. 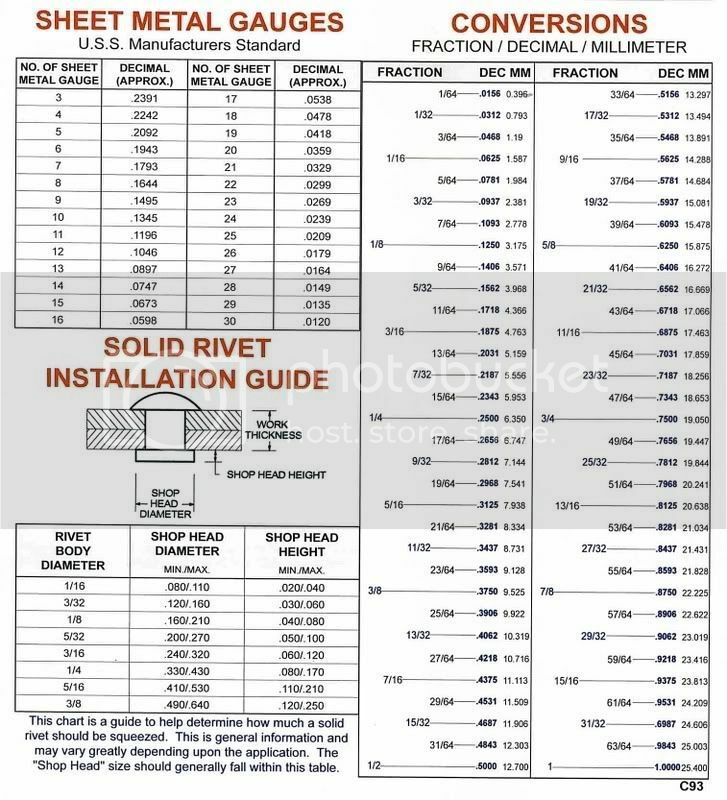 Take your time and measure ALOT. 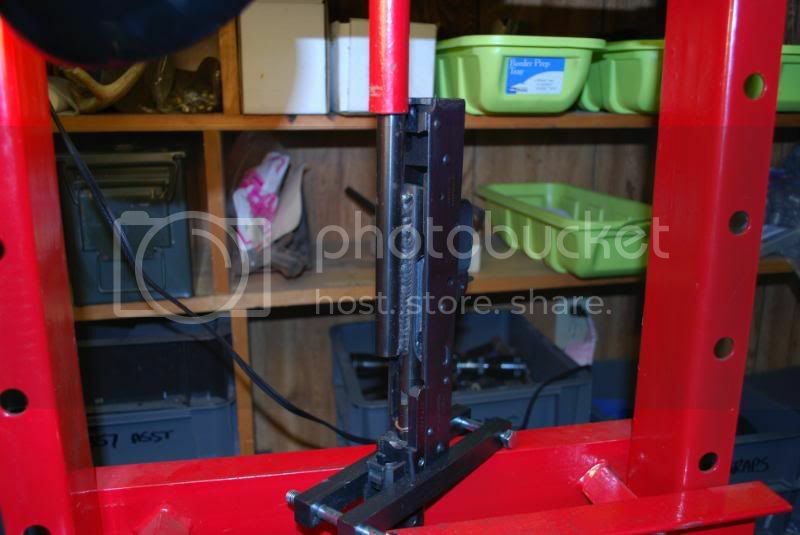 It takes several minutes to get a couple thousandths out of the barrel hole. I went thru a battery on my drill at high speed. If that gives you any indication. But the last one thousandths went quick. So measure often. And I tried repressing the barrel with a 2.5 to 3 thousandths difference. And it wouldn't go. I had to take it out to a full 2 thousandths difference. And even then it was hard at the end. Lamont has better calipers than I do. 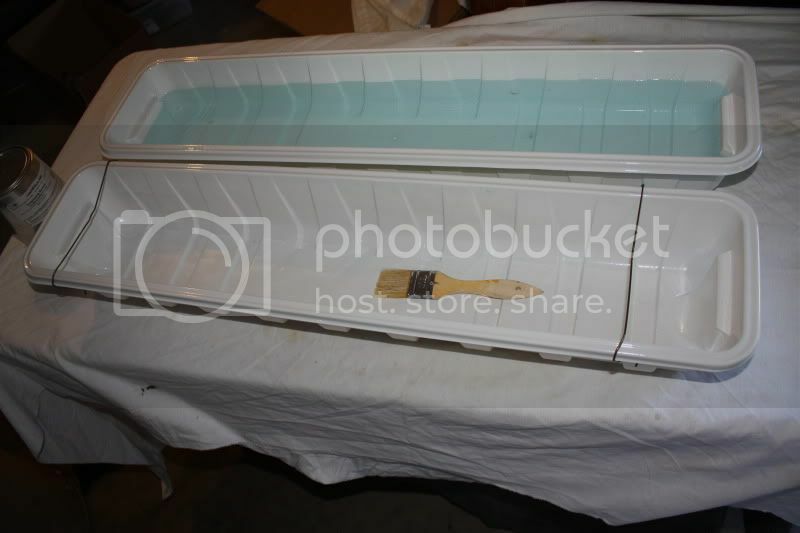 And his measurements showed a cone type shape to the barrel hole. IIRC tighter at the chamber - wider at the barrel. Which may explain the tightness in mine towards the end of the press. One little tip I used while applying the barrel parts was the use of old drill bits. I used old bits as punches to push out fsb pins and the like. And even used sections of old bits as pins themselves. The first fsb on the first barrel just would not take an original pin. But a bit end fit tightly. I simply cut and ground them to size and tapped them in. I got all the new barrel items on last night. And pressed the barrel. Like I said it was still tight at the end. But lined up. And I got the barrel pin installed. Started checking the headspace. But I will complete that tonight hopefully. And post up some pics of that process. 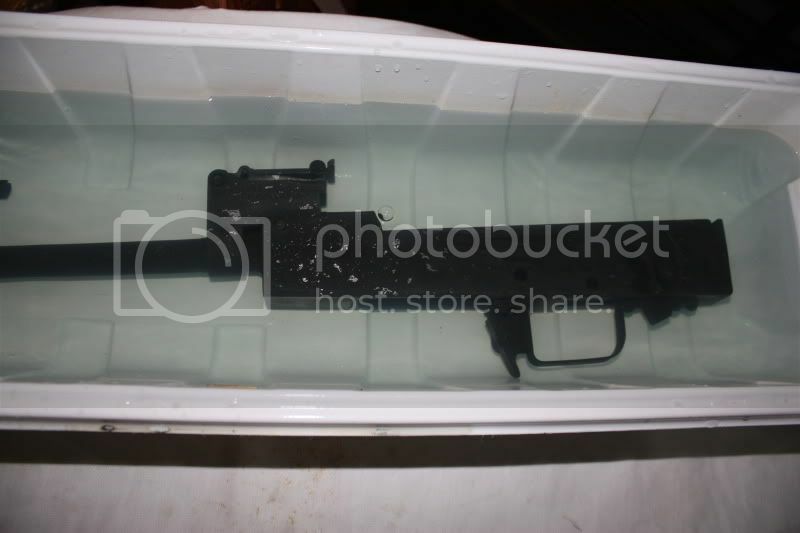 I have a feeling I need to take the barrel out some. Feels like the bolt is not hitting the feed ramp soon enough. 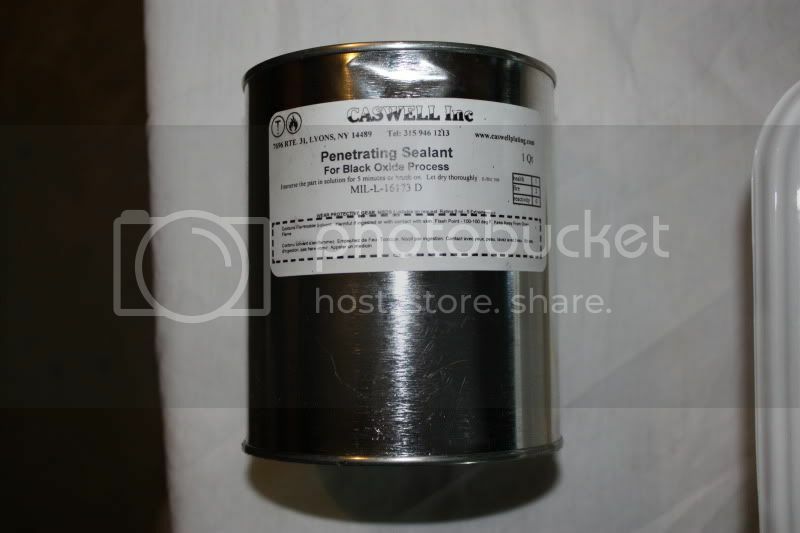 I bought a great tool from Viktor Bout on theakforum. He made specifically for taking barrels out of milled or completed receivers. I don't know what I would have done without it. I think that is posted above. If not, I will post it below. He only has a few. I suggest getting one if your going to do several milled builds. I ended up having to adjust headspace. No big surprise there. I chose bit, reamer and pin incorrectly. And ended up learning a hard lesson - "measure everything, even bits, even if there is a measurement on the item your using...". The reamer was a couple thousandths bigger than it was supposed to be. So once I had completed my new barrel pin hole. The barrel pin pushed in with my thumb. Not good. 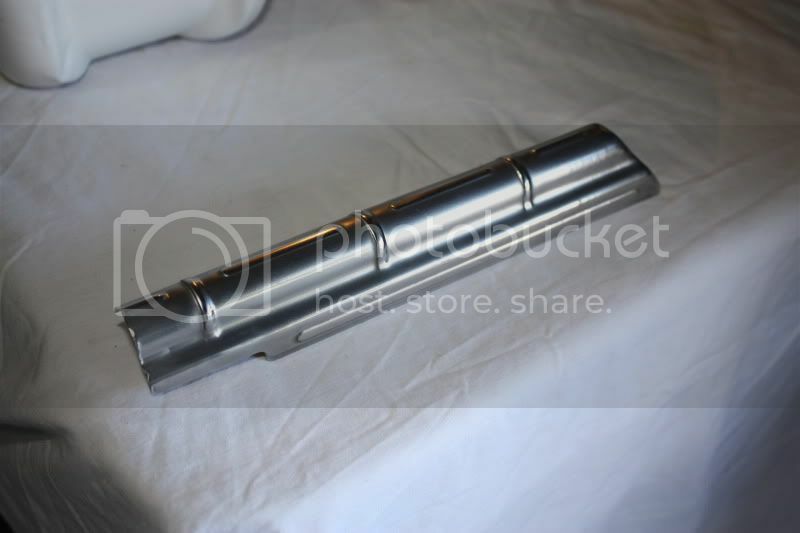 I ordered new bit blank stock from Enco. In a larger size .302 IIRC. I redrilled the hole out to accomodate the larger pin. But got the pin stuck 2/3 of the way in. Getting it unstuck was not easy. And the Enco stock was to hard to drill. 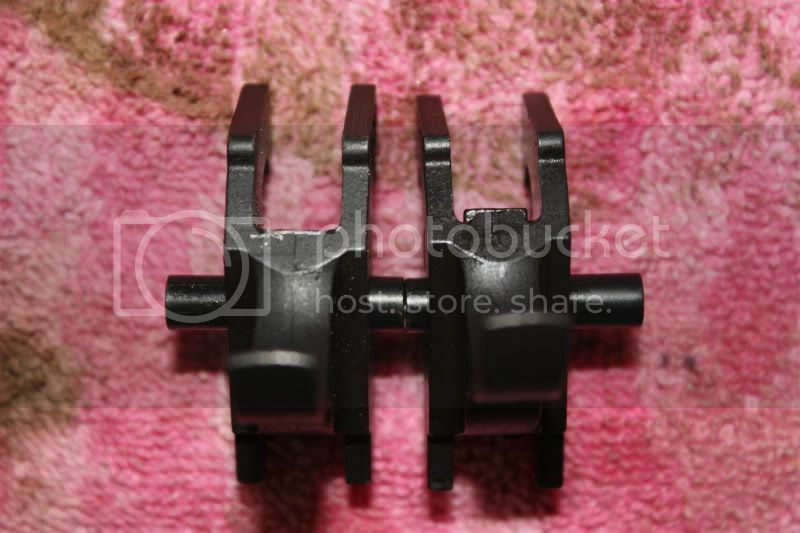 (Normal barrel pins can be drilled out no problem.) I hammered, beat and bent press pins. I finally left liquid wrench in it over night. 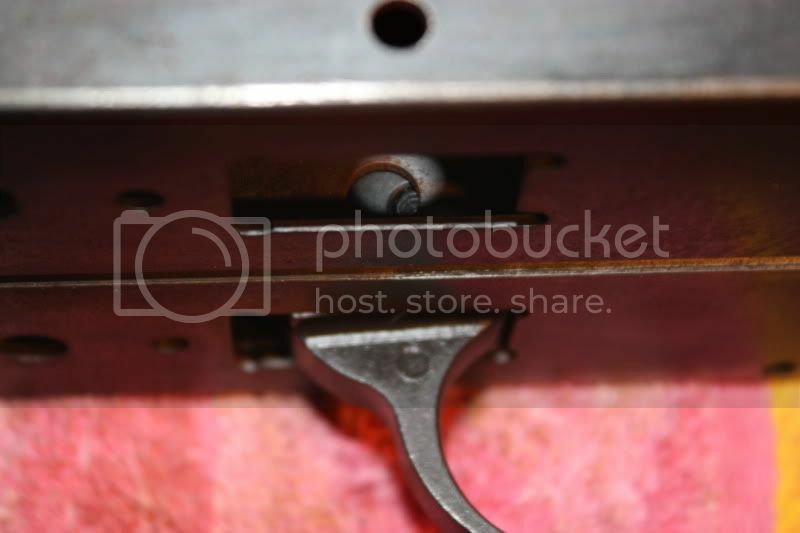 And leaned the press pin on one side of the barrel pin hole. And pressed HARD to get it out. One pop at a time. I then went back to my oversize reamer. And realized that drill bits just don't cut a uniform enough hole. The reamer smoothed it out. And the barrel pin pressed in with ease. 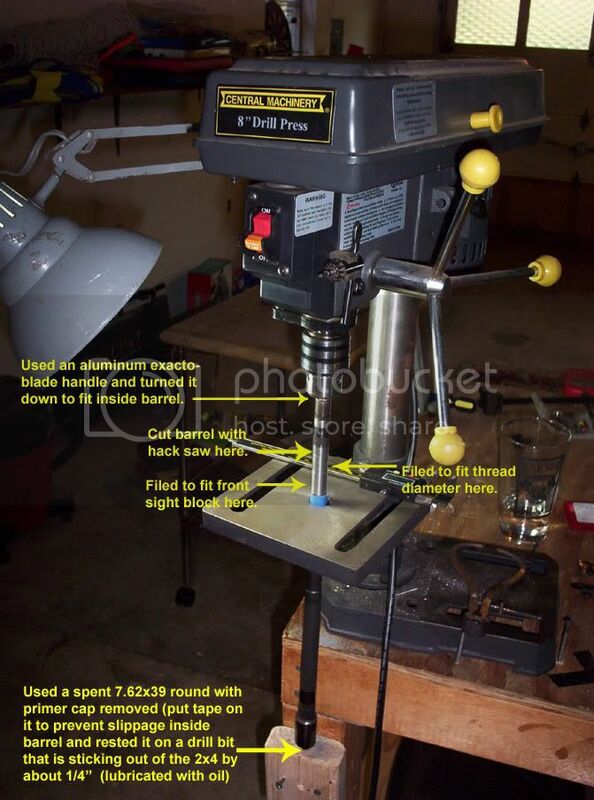 You can also make the pins smaller using your drill press as a sort of lathe. Put it on a med speed. Place the pin in the drill. And use files and/or sand paper to thin the pin. The below pic shows the finished assembly. I'm going to sand, polish and black oxide it later this week. Sand blasting and then bluing will give you a satin look. 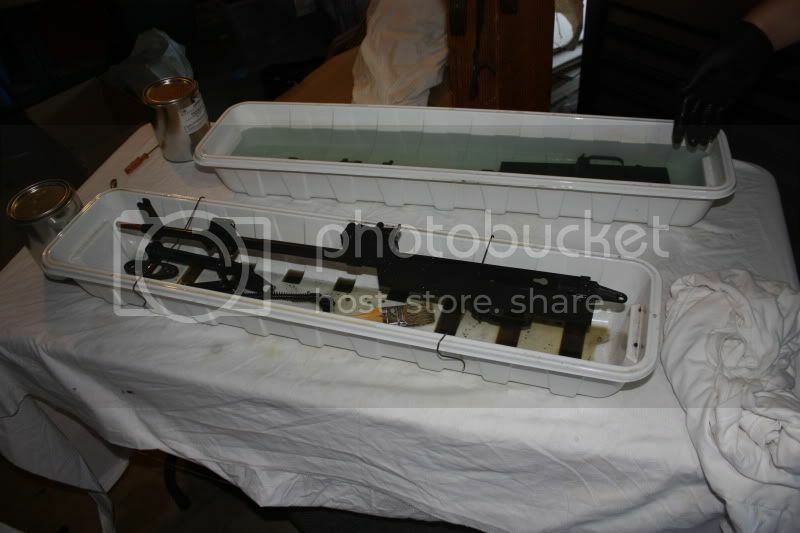 Sanding and polishing will give you a deep dark blue - typical of commercial rifles. I plan to leave some of the machine marks in though. 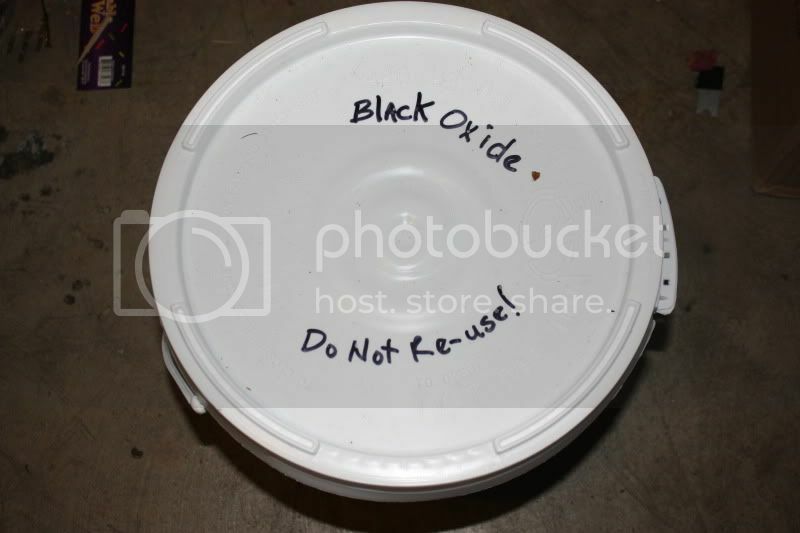 And probably bfpu the black oxide. Meaning age it. I'll post final pics once that is done. I hope this build tutorial helps those fortunate enough to purchase ORF receivers while they were still around. 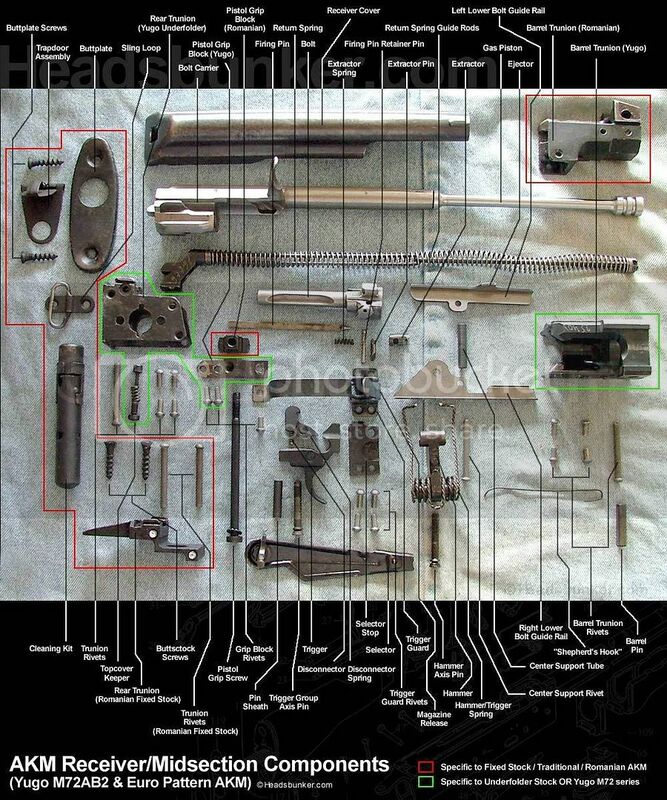 I still have the M70 UF and M64 UF recievers to build. But even with these issues to fix they are great receivers at $175. I still wish I had bought more of them. I have several Yugo kits. That would have been economically built had I been able to purchase more of these. Lancaster advertises some inexpensive alternatives. But have not had the best delivery issues with them. Everyone that has posted has said they did receive their receivers. It just took awhile. www.cncwarrior.com has probably the best receivers out there. But at $300+ they are pushing the upper edge expense wise. Rewelds seem to be the most cost effective way of building these. 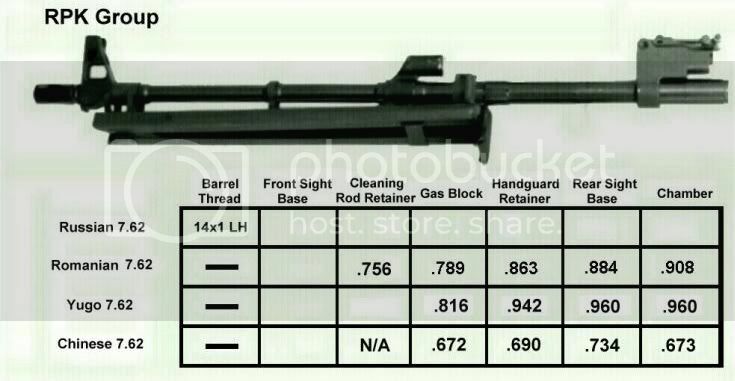 MAtt (turbothis) at www.mygunsnorthwest.com does rewelds for around $300. 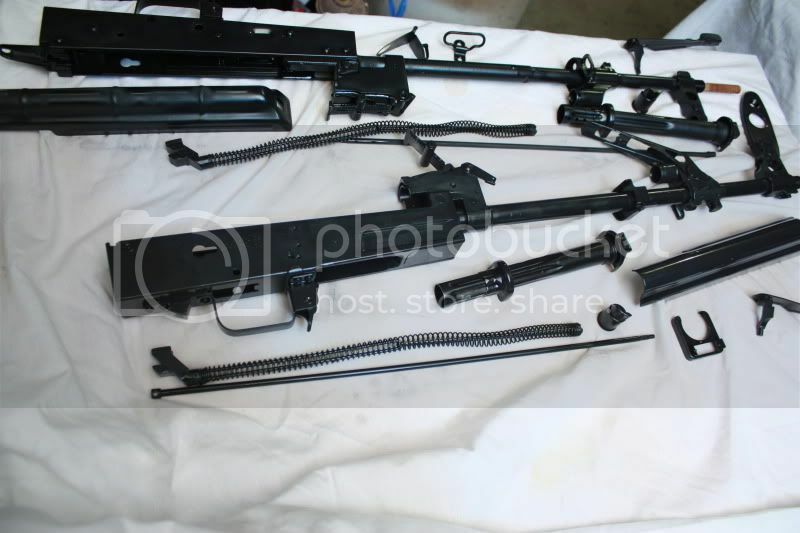 You send him your kit and 922r parts and he sends you back a complete functioning and tested rifle. Receiver plates for doing it yourself can be purchased from vz58 on www.theakforum.net. I think they run around $60. Tutorials can be found on the same site. Lastly - may Todd rest in peace. If nothing else you have to take your hat off to a guy that starts any business at such a young age. And thrives. His company was massive compared to most of his competitors. And he didn't have to start a business catoring to the AK community. And no one has offered anywhere near the breadth of products that he did. Even with the "issues" I will leave you with one question. Who the hell is going to take his place? Hopefully someone with access to alot of kits will partner with a strong manufacturer of US parts and receivers. Apex and Wiselight? (I hope.) Let's hope someone takes ORF's place. Or we will simply be left with a bunch of a dusty parts to show our grandkids. 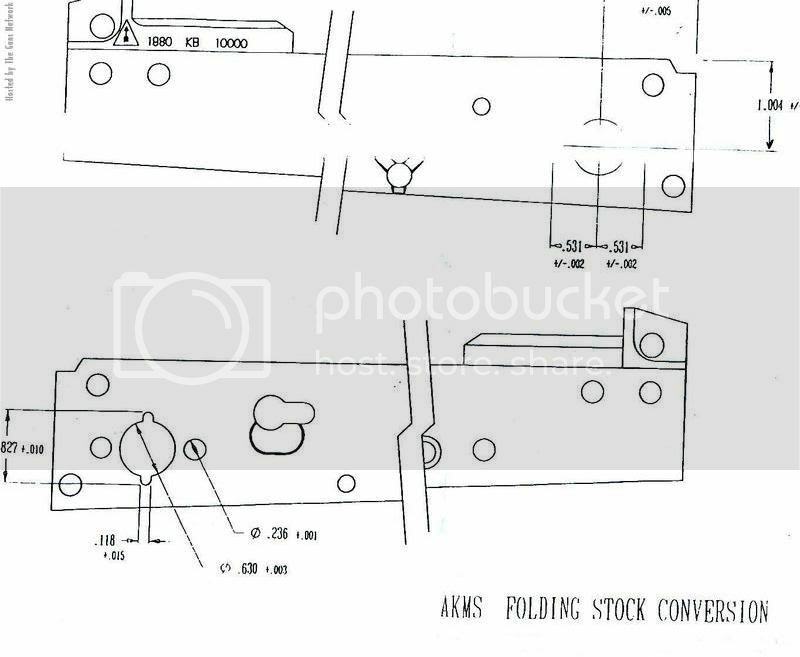 Good luck to anyone else building on ORF receivers and their AK parts kits. Feel free to contact me about any other issues you've detailed.